Secluded, 2.5 acre mountain side property just 5 minutes from Hope. Spacious 1760 sq.ft. rancher with large double garage, work shed and covered deck in need of paint cleaning and maintenance. Very private backyard with fruit trees, pond s, garden areas and gazebo. 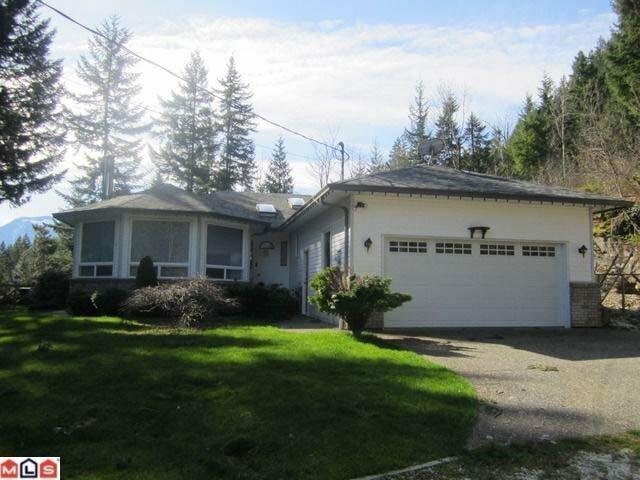 Located at the entrance of the beautiful Fraser Canyon you are surrounded by outdoor recreation opportunities. Diveway is unmarked and 2nd one in from hard left at mailboxes.